The deep freeze has lifted – for now anyway. 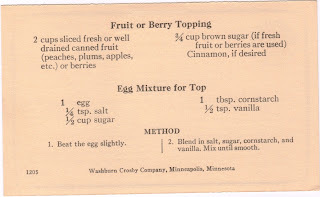 But in its wake, it left Minneapolis swaddled in a low-hanging gray haze. And the slowly melting snow has turned into a charcoal-colored soup sprinkled with road garbage. Lovely. Winter can be beautiful though. The other morning fog froze to all the trees leaving them coated in fuzzy crystals. The world was a gleaming white wonderland and I wanted to pet all the branches. Some of the heartier critters have even ventured out of their winter dens for a peak at the above zero temperatures. A few squirrels tried to engage Murphy in a game of chase, but he took a pass at the invitation. He wasn’t interested in plunging his sensitive feet through the crusty snow for a game in which he never wins. He did put on his boots for a winter walk, however. Yes, my super-tough Golden Retriever who spends every Tuesday morning barking at the garbage trucks and demanding they leave the neighborhood, requires boots in order to go for walks in the winter. His tender feet are sensitive to both cold and road salt and without them, he doesn’t make it much past the end of the driveway. He doesn’t enjoy the process of putting them on, but once all four feet are protected he prances like a Tennessee Walking Horse and kicks it into turbo for the entire walk. As long as he’s moving, he’s a happy dog. Sometimes we need a little help during the winter months to put that spring back into our step. For Murphy, that means slipping his feet into dog boots. For the rest of us, it might mean adding a little color to our overbearingly gray surroundings. 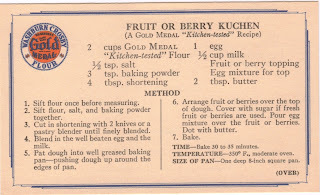 And I have discovered just the cure for the winter doldrums: Fruit or Berry Kuchen. This is very similar to the Apple Kuchen I made a couple of months ago, but for this variation I used strawberries and blueberries instead of apples. Both are out of season so they were a little pricey, but totally worth it. Just one bite of this delicious dessert and I could practically feel the summer sun beating down on my skin. When I opened my eyes, I realized it was just Murphy’s hot breath, but it was nice to dream for a moment. It was so good in fact, that we had to make it twice – once to celebrate the New Year and the long-awaited arrival of our new nephew with Ryan’s family, and a second time just to enjoy eating a fresh fruit dessert in the middle of winter. If you are yearning for the return of long summer days with a breeze that doesn’t freeze your nose together when you inhale, make this Berry Kuchen. It will cost a few extra dollars for the fresh fruit, but when you are instantly transported to your happy place on the first bite, you’ll be happy you splurged on this treat for yourself. That dog is stylin'!!!!! And the berry kuchen looks yummy.